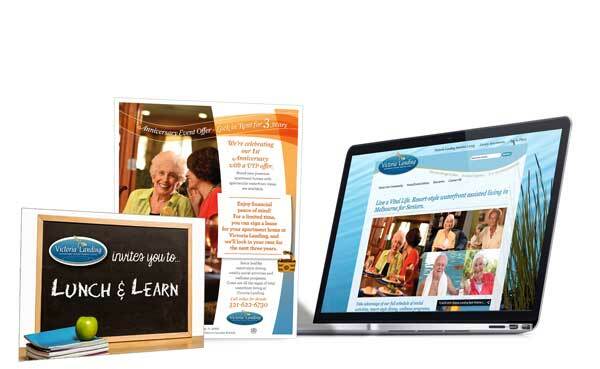 The new assisted living community with 100 units required comprehensive marketing efforts to separate the community from its competition and build awareness. Among the initial services provided by The Ehlers Group was a community assessment and competitive analysis to identify areas of opportunities to quickly improve occupancy. From these findings, The Ehlers Group developed and initiated a strategic marketing plan starting in August, 2014 for three month duration with the understanding that significant occupancy gains could take longer to achieve. As part of the recommendations The Ehlers Group conducted intensive sales training of the management team. On site sales support and leadership were provided with on-going sales coaching. The lead base was better managed. Social media including a weekly blog and Facebook posts improved search engine optimization and public relations were initiated. A new advertising campaign with a media plan was also instituted in collaboration with our strategic partners as well as lifestyle photo shoot. To quickly reach potential audiences, monthly Lunch and Learn events were launched with The Ehlers Group handling the speaker, invitations and other promotional details. To build awareness by community referral resources monthly professionals’ networking group was formed. These efforts improved sales in the short term with a net increase of 5-8 per month.